Courtney Prince combines sophistication and feminine aesthetic to deliver Doloris Petunia, a one-of-a-kind line that breathes an innovative blend of color, originality, and custom craftsmanship. Started in Soho, New York, and now based in Los Angeles, California, the collection offers a dramatic repertoire of handcrafted earrings, necklaces, friendship bracelets, cuffs, jeweled clutches, and hair accessories as well as a special line of bridal headpieces and couture flower girl dresses. After studying design and theater arts at NYU and Pratt Institute, Prince decided the corporate life was not for her and she hit the streets of Manhattan to sell her remarkable product. Basing her designs on what she wasn't able to find anywhere else, Prince quickly met success with her delicious palette of wearable one-of-a-kind pieces and coined the tag line "one-of-a-kind is the new black" for her collections. For the Spring/Summer 2014 season, Prince mixes materials such as python and plaid fabrics with her signature crystal hand work and adds an innovative touch with hand painted ombre crystal pieces. Her Swarovski Crystal Friendship Bracelets are the perfect accessory to stack or to share with a friend, and feature bright colored Swarovski beads which are hand-crafted in a variety of geometric and tribal patterns, complete with a yarn tie. For the girl who wants to make a statement, the Crystal and Plaid Choker is a fresh accessory to add to a daytime casual look and can easily transition into a necklace for a night out featuring plaid pieces mixed with Swarovski crystals. For the fun at heart fashionista, the Honey Bee Earrings with hot pink, yellow and blue stones or the Mohawk Earrings that feature Gold, Copper or Silver treated rocky centers surrounded by jewels add a pop of color to any outfit. For the bohemian and carefree girl, the Mermaid Crown headpiece is designed to gently fall over your hair; available in gold, silver, rose gold and pale gold it is made with hundreds of tiny seashell charms and is a favorite among the stars like Selena Gomez. 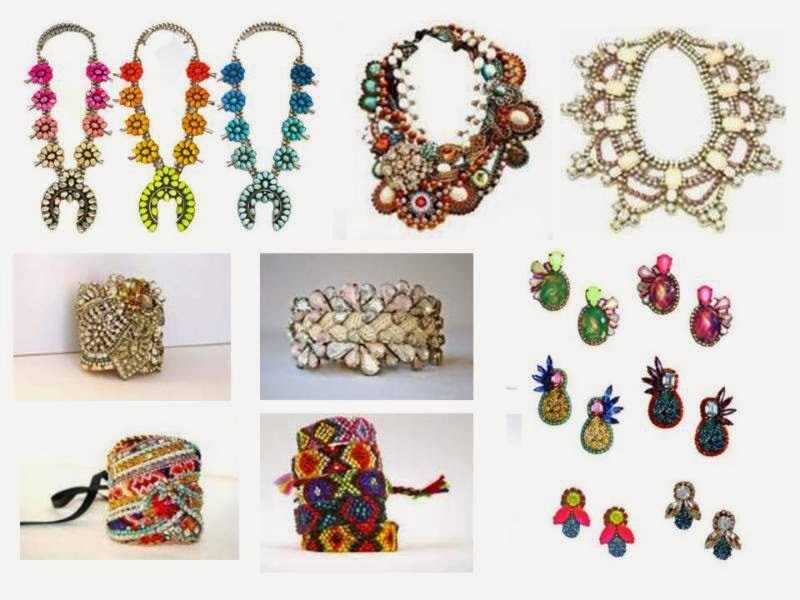 With an array of luxury statement necklaces, dazzling beaded cuffs that are molded to your wrist and standout bright colored earrings, the Doloris Petunia accessory collection uses high quality materials and is designed for the girl who wants to stand out from the crowd yet feel feminine and beautiful. Prince doesn't stop with accessories as she lends her unique craftsmanship to the Doloris Petunia Bridal Collection that features bandeaus, crowns and headpieces embedded with crystals, lace and tulle. She prides herself in intricately designing and hand making each piece to add a striking effect to her clients' special day. With her ability to customize any piece for a personal touch, she has naturally capitalized on the bridal market with her compilation of wearable art. Prince has also recently expanded her bridal collections to feature couture flower girl dresses. After being sought out by top wedding planners and A-list clientele, Prince further tapped into the bridal industry by creating a collection of outstanding flower girl dresses, each made with the finest fabrics and exquisite details. Prince's goal is to redefine the flower girl dress market and bring the quality and attention to detail to each flower girl dress as can be found in wedding dresses. The Doloris Petunia Constellation Dress in copper, silver or gold features hand sequined palettes with a custom color sash to match any wedding party and her Lauren Dress in duchess satin features a draped bodice atop a full hand pleated tulle skirt. For a more delicate and soft look, the Pamela and Katy dress are displayed in soft cream and pale pink tones and feature magnificently sewn rosettes and flowers over the entire bodice of the dress. With her angelic collection of beautiful designs, Prince has created a treasure chest for women of all ages to feel magical and beautiful in a timeless way. Doloris Petunia by Courtney Prince is based in Los Angeles and sells in select stores around the world and online ($35-$1,200; www.dolorispetunia.com). For those of you that enjoyed this post, you may have interest in reading some of our bracelet blog posts here on the Fashion Blog.